While 350 horsepower is plenty enough for the street, no one can be faulted for wanting to extract even greater capability out of Ford’s high-performance, AWD hot hatch: the Ford Focus RS. Luckily, there are firms like Mountune – something of a leader in the arena of making fast Fords even faster – that are happy to supply enthusiasts with the tools to do so. At the 2017 Mountune Ford Fair last weekend, the tuning firm introduced its latest power upgrade package for the Mk III Focus RS, which boosts engine output up to 400 peak horsepower. 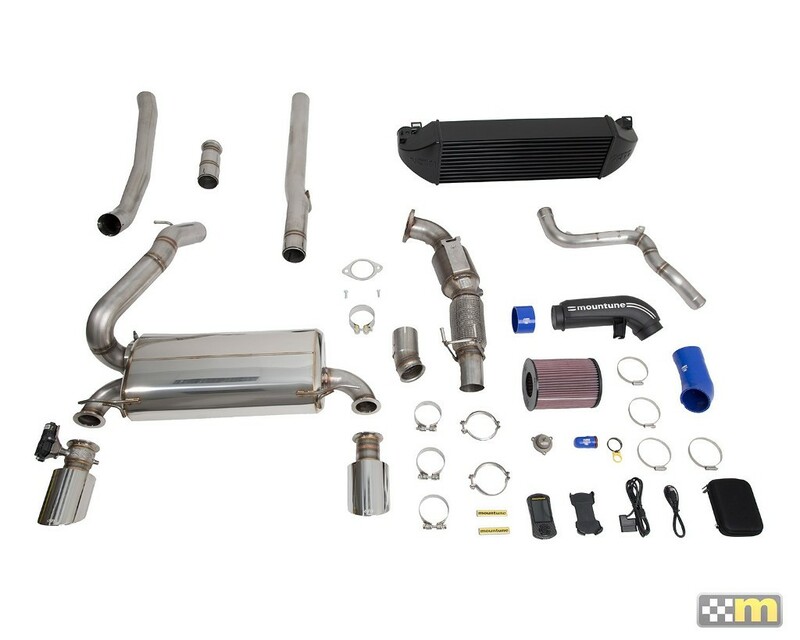 It’s dubbed the “M400” package, and includes such hardware upgrades as a new, high-flow intercooler, high-flow induction kit, high-flow turbo outlet hard pipe, uprated recirculation valve, 3-inch downpipe and cat-back exhaust, and an mTune handset with a new ECU calibration. Those looking to install the Mountune M400 package on their Ford Focus RSes have a few things to consider. On the plus side, the package is quite affordable at just £3,495 in the UK (about $4,500 US), and the tuning firm has taken a “modular” approach to the kit, meaning that owners who already have one or two of the included parts can save money by only paying for the remaining bits. On the minus side, the Mountune M400 kit is not fully Ford-endorsed, meaning that the factory powertrain warranty may be affected by the use of this kit. Is the boost in performance worth the risk? That’s for each owner to decide for themselves. Next story What Does The Aston Martin DB7 Have In Common With The Ford Mustang SVT Cobra R?